There have been a number of readers who have sent me photos of the Hello Kitty tooth cap, and while it certainly is strange, this is one of the few Hello Kitty items that really doesn’t put fear into my heart. The reason being that I would never have to see it. I mean, really, how many times do you look into the depths of someone’s mouth to check out their dental work? If my wife decides that she needs to have a Hello Kitty crown placed on one of her molars, I don’t think it would add to my Hello Kitty Hell. 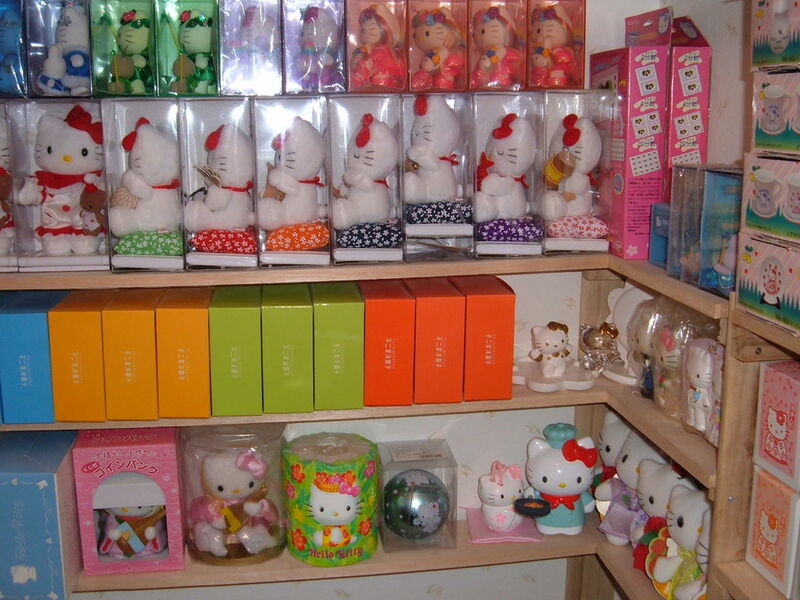 Once you have been living in Hello Kitty Hell for an extended period of time, the “sick factor” comes into play. This is a simple rule that applies to all things Hello Kitty when one lives in a Hello Kitty Hell. 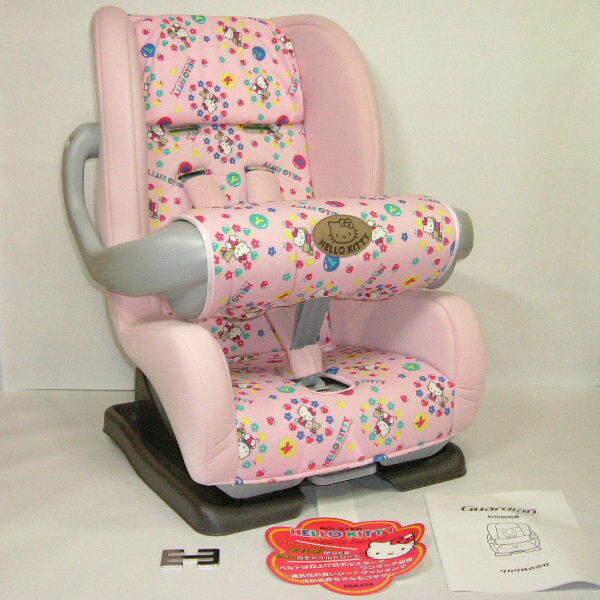 The sick factor rule states that the more nauseating a Hello Kitty item is to you, the more the Hello Kitty fanatic will like it. One of the few items that my wife does not currently have is a Hello Kitty TV and so it was with much fear that I opened up an email from ojuang that lead to a Hello Kitty TV set. It only took a quick peek to know that this was going to be on the high end of my sick factor scale which immediately meant my wife would love it. 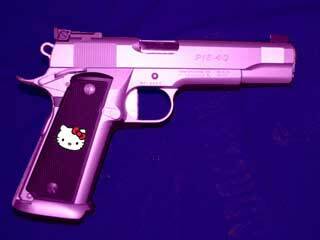 It should go without saying at this point that Hello Kitty Hell produces dichotomy in my daily life. While the Hello Kitty food would lead one to believe I would gain a great amount of weight, the car that is getting the Hello Kitty make over produces the opposite effect and keeps my weight in check. How does a car keep my weight in check? 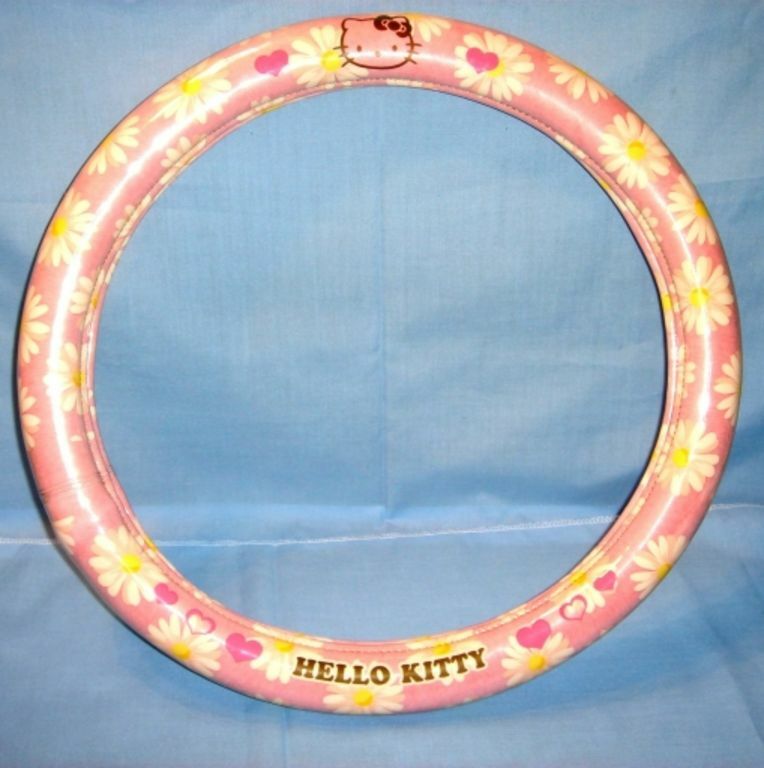 Now, you know that Hello Kitty Hell has set in when you actually are thankful that the Hello Kitty steering wheel cover is merely pink and not covered in feathers all around the the Hello Kitty computer. I actually almost heard myself saying, “oh, that’s not too bad” before I came to my senses and realised it was a freaking Hello Kitty steering wheel cover. 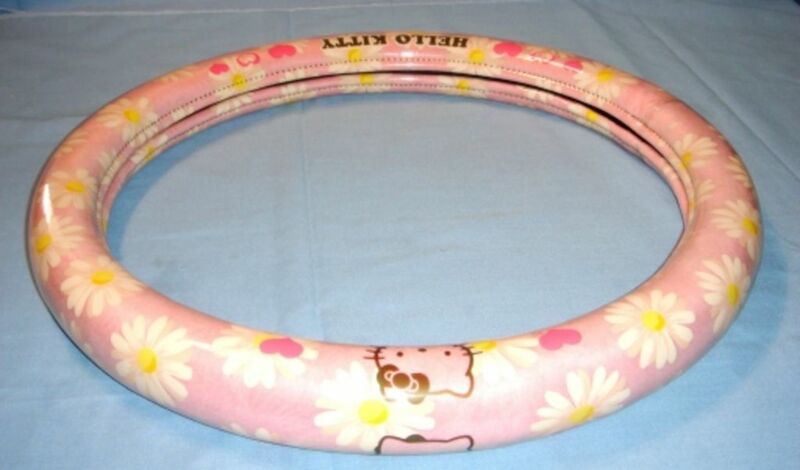 I mean, who in their right mind would ever want to have a Hello Kitty steering wheel cover? Ever since my wife saw the pimped out Hello Kitty computer mod, she has decided that she needs to make her laptop more Hello Kitty like. Fortunately, she is too afraid to try and pimp out her computer in the same way as the one featured previously. While that is a small consolation prize in Hello Kitty Hell, it is mitigated by the fact that to compensate for not completely decking out the computer, she is purchasing every Hello Kitty add-on computer gadget that she can find. 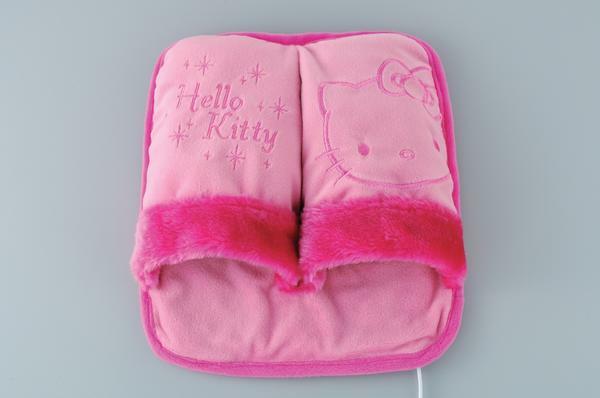 The latest of these being the Hello Kitty usb feet warmer. Now this would be bad enough if I had to look at them daily on her feet, but she also decided I needed my own Hello Kitty usb feet warmer and presented it in a way that I couldn’t really argue. Because our house doesn’t have central heating (which is common in Japan) and because energy prices are so high, getting a feet warmer would save a lot in energy costs as it is the feet that really get cold in winter. While I’m sure that my wife appreciates the emails I receive with all the Hello Kitty stuff you think we should know about (believe me, it is only on rare occasion that something comes that we haven’t seen before), she really doesn’t need any more encouragement. This is especially true in areas where I’m trying to distract her from Hello Kitty. 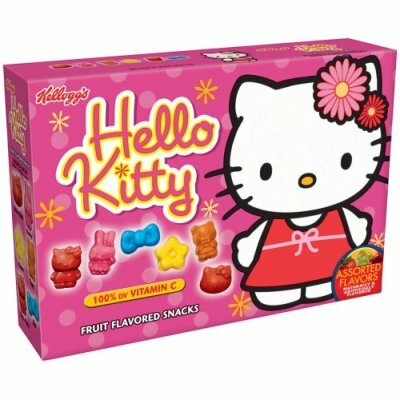 I already realize that there is more than enough Hello Kitty food that exists that we could likely live on only Hello Kitty food. Just because something can be done doesn’t mean that it is a good thing to do. 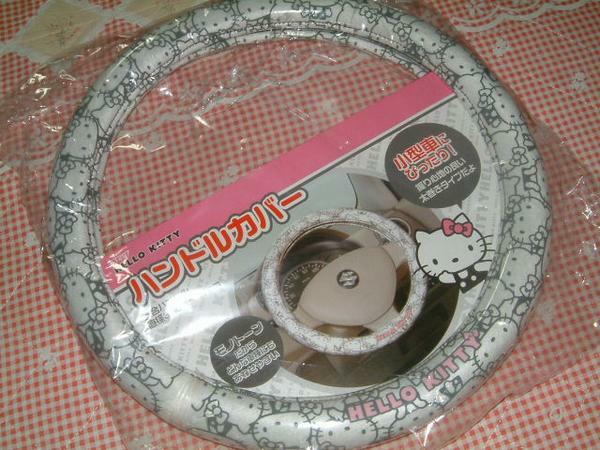 The goal here is to help relieve my Hello Kitty Hell, not watch it swirl deeper and deeper into an inescapable abyss. 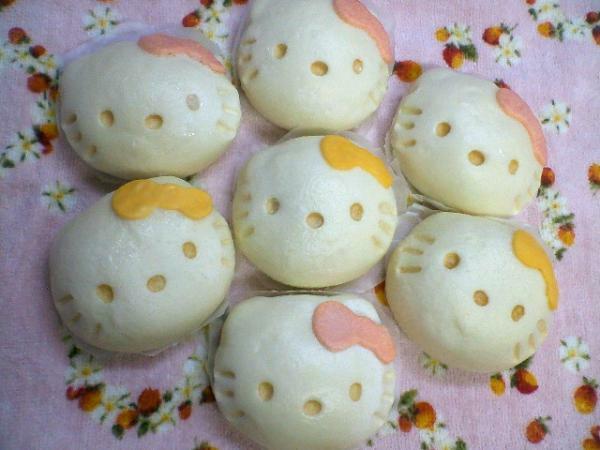 When readers like happykitty send me photos of Hello Kitty An Pan (“an” is a sickly sweet black bean paste often used in Japanese deserts, and while it seems apply appropriate as something that should fill the inside of a Hello Kitty item like bread (“pan”), it’s not something that any human should eat when wrapped around a Hello Kitty face) that my wife may really try to serve only Hello Kitty food. While I imagine that many of you enjoy my torture (hey, after reading this, could your life really be all that bad? ), you must weigh that torture with the knowledge that if I die from sugar poisoning (the only outcome for anyone that lives on a Hello Kitty food diet) is that this blog will cease to be updated. Why don’t they make Hello Kitty food that would actually be worthwhile eating and drinking like Hello Kitty pizza and Hello Kitty beer? Walking into the room after taking a short walk down to the grocery store, I went into my room to turn on the computer and saw a — “ummmm is that what I think it is?” — sitting right next to my computer. I stopped dead in my tracks at the door eyeing the small, square package from a distance. After my last post about babies and my ending comment about birth control, my immediate thought was that my wife had read the entry and had therefore left the little package next to my computer for me. I know that they have made Badtz Maru condoms in the past and I have heard rumors that there are Hello Kitty condoms although I had never seen any in person (I’ve seen photos on other websites, but they all look to be photoshopped to me). Was I really seeing what I thought I was seeing? On closer inspection, however, it turned out to be something completely different. What it actually turned out to be is Hello Kitty cheese. 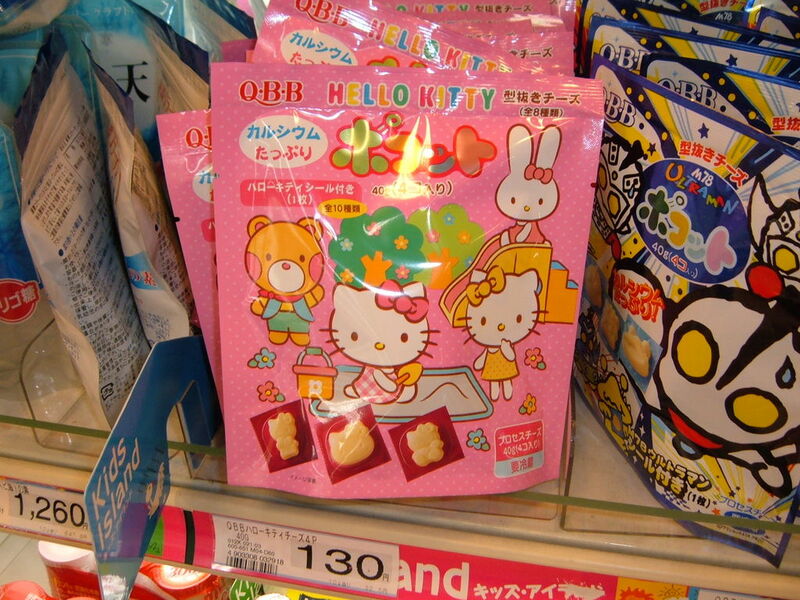 Now why they place the Hello Kitty cheese in packages that makes it look like a condom is anyone’s guess, but as you probably already know, I stopped trying to figure out anything Hello Kitty long ago. What’s worse than my wife seeing Hello Kitty products that she decides she must have? 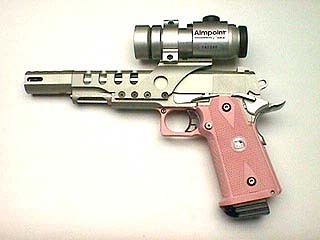 When those products inspired her to think beyond the Hello Kitty product itself. 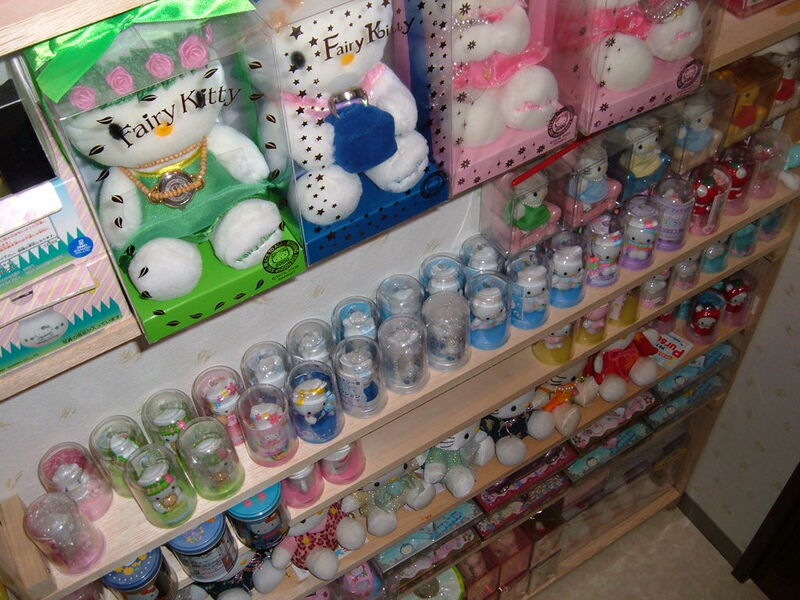 This, my friends, is where the real Hello Kitty Hell begins.